How Does a Tick Reproduce? Infesting wild animals, pets and people, as well as transmitting a range of diseases, ticks reproduce sexually. A male and female tick mate, and the female lays fertilized eggs that hatch into six-legged tick larvae. Tick larvae molt and eight-legged nymphs emerge, which then molt into eight-legged adults. Ticks belong to two families: hard ticks (Ixodidae) and soft ticks (Argasidae). Hard ticks and soft ticks reproduce differently. In the United States, there are about 80 tick species. Hard ticks mate on their host and then the females lay a single, large batch of eggs. The female then takes a final feed, drinking 200 to 600 times her unfed body weight in blood. Her hard outer skin grows to accommodate the meal. Fully fed, she drops from her host and crawls away to a moist, dark spot such as under a dead leaf or other plant debris, where she lays a large batch of eggs, usually between 2,500 and 3,000. The female hard tick then dies. Some hard tick species are parasites of just one animal and others feed from two or three animals when larvae, nymphs or adults to complete their life cycles. A female hard ticks lays her eggs one to two days after mating and eggs hatch in two weeks in warm conditions, but females in cold climates can delay egg-laying for months and the eggs can take three to four months to hatch. 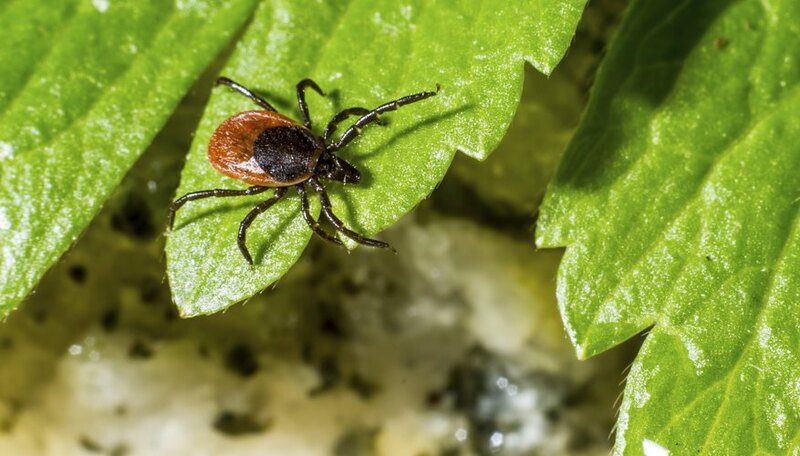 The progression from egg to adult hard tick takes as little as a year in tropical climates or over three years in cold climates. Inhabiting nests, burrows, caves and other animal sleeping areas, a soft tick reproduces entirely off-host. A female soft tick mates with a male, finds a host and takes a blood meal five to 10 times her body weight. She then drops off the host and lays a small batch of eggs, repeating this behavior throughout her adult life, which can last several years. If she can't find a host after mating, she enters a kind of hibernation called diapause until a suitable animal comes in range. A soft tick can survive many years between meals. A tick passes through several stages before being able to reproduce. A hard tick progresses through four stages: egg, larvae, nymph and sexually mature adult, but a soft tick can remain a nymph through up to seven molts, growing larger each time until the adult stage is reached. All life stages of a tick require a blood meal before molting to the next stage. The mouth structures that attach a tick to its host when feeding prevent the tick's easy removal. To remove a tick, grasp as close to the skin as possible with a pair of tweezers, and pull it out slowly and steadily. How Does a Squirrel Survive in the Winter? Green, Jenny. "How Does a Tick Reproduce?" Sciencing, https://sciencing.com/a-tick-reproduce-4701283.html. 13 March 2018.